The Federal Transit Administration is allocating $281 million worth of additional fiscal year 2018 federal funding to five transit projects in Arizona, California, Minnesota, and Texas. The agency said in a statement on Nov. 28 that this funding will be provided through its Capital Investment Grants or CIG program. 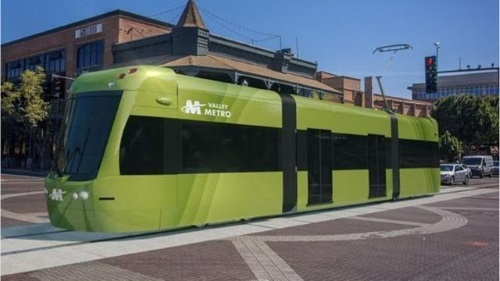 Those projects include: The Tempe Streetcar project in Arizona; the Los Angeles Westside Purple Line Section 3 project and San Diego Mid-Coast Light Rail project in California; the Minneapolis Orange Line Bus Rapid Transit or BRT project in Minnesota; and the Dallas Area Rapid Transit (DART) Red and Blue Line Platform Extensions project in Texas. FTA said it intends to fund the projects through an updated allocation notice for FY 2018 CIG funding appropriated by Congress and is “committed to execute” an additional four agreements for $1.5 billion in CIG funding if those projects continue to meet the CIG program requirements. To date, FTA said it has allocated $1.86 billion of the $2.62 billion in FY 2018 CIG funds appropriated for projects by Congress, adding that it has “advanced funding” for 17 new CIG projects worth $4.8 billion in funding commitments across the country since January 20, 2017.